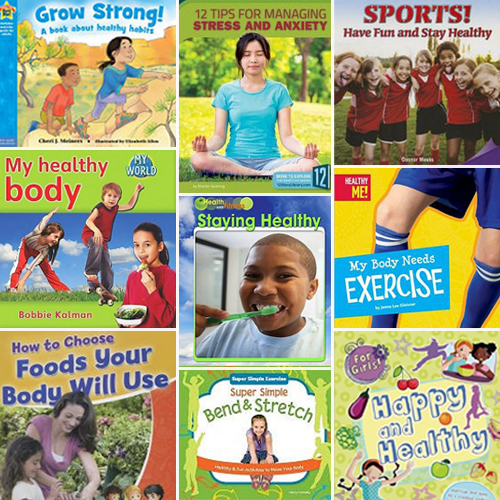 Our list of titles spotlight healthy habits to foster the ‘every kid healthy’ movement. 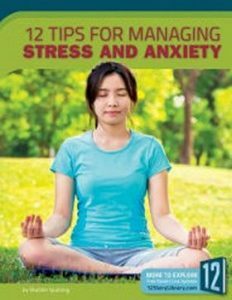 Explores 12 ways to manage stress and anxiety, including limiting caffeine, practicing time management, laughing, listening to calm music, getting enough sleep, and keeping a journal. From breakfast to dinner and everything in between, this title offers eager readers a fun look at energy balance. Bright, colorful photos will entice readers as they learn how to read nutrition labels and use serving sizes. 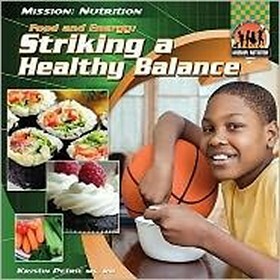 Readers will also gain an understanding of the Food Guide Pyramid and ways to balance their energy in and energy out. Engaging chapters present skills for making smart food choices and approach issues related to BMI and body image in a straightforward, positive light. Smart sidebars highlight additional opportunities for exploring energy balance, while a full-page spread offers ideas from the Let’s Move! campaign for balancing food and activity. 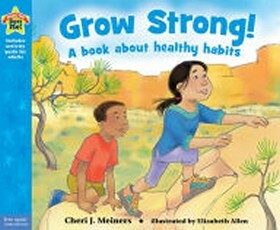 This title teaches children how to take care of their bodies and develop self-care habits. 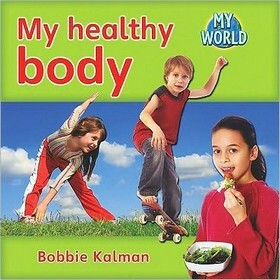 Discusses health topics such as diet, exercise, sleep, social activity, and emotional health. Includes back matter for caregivers, educators, and parents. 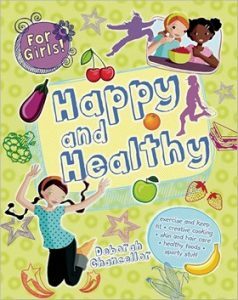 This guide for girls gives advice on how to keep healthy, including exercise and keeping fit, creative cooking, skin and hair care, healthy foods, and sports. 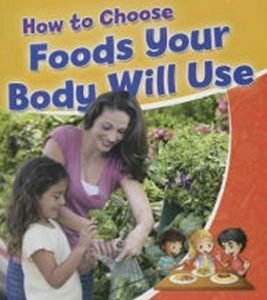 With a focus on building health and nutrition literacy, this timely title gives readers the tools they need to make healthy food choices for every meal. Topics include whole foods, processed foods, and reading food labels. 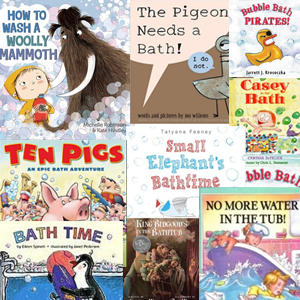 Healthful food tips are explained using text that is easy for young readers to digest. 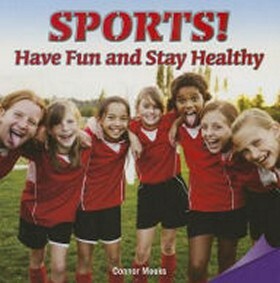 Exercise should be fun and this book shows how it is. 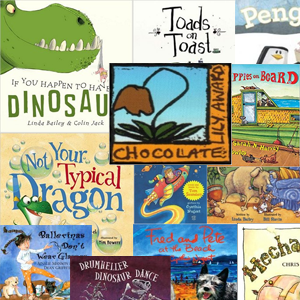 Eight tips to get the reader started, such as playing outside instead of watching electronics inside, are given, and why exercise is important to your body is explored. Young children demonstrate ways that they keep their bodies healthy, including exercising, drinking plenty of water, eating good foods, keeping clean, and having regular visits to the doctor and dentist. 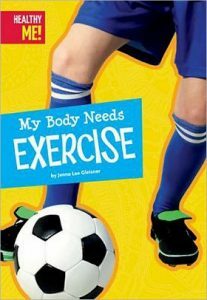 Readers learn how sports are a great way to stay in shape while having fun in this book with color photographs accompanied by narrative nonfiction text. 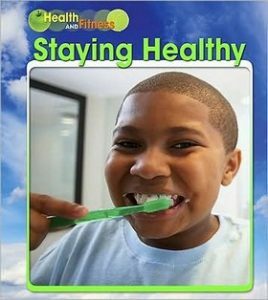 Discusses the following topics for staying healthy: good food and exercise, keeping clean, tooth care, being careful with germs, being careful outdoors, getting enough sleep and keeping your mind healthy. 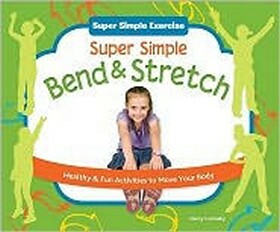 Illustrates the different stretches that can be done, including the meow and moo, shoulder rolls, and teeter totter.